Sydney Finkelstein is the the Steven Roth Professor of Management and Associate Dean for Executive Education at the Tuck School of Business at Dartmouth. He is author of Superbosses: How Exceptional Leaders Master the Flow of Talent. Sydney is a recognized thought leader on strategy, leadership, and corporate governance, having published several bestsellers including #1 bestseller in the U.S. and Japan, Why Smart Executives Fail. Sydney defines superbosses as those who have an outsized impact on their professional field by training and developing future leaders. 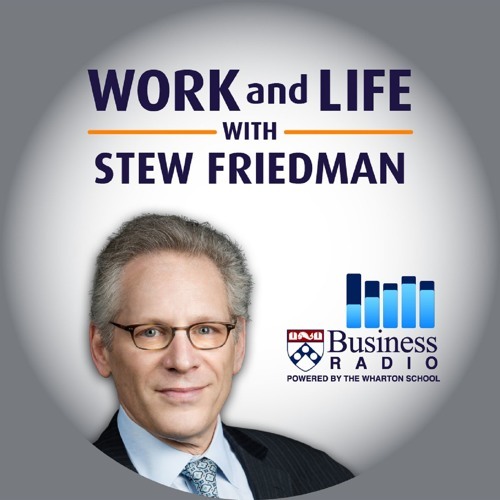 In this episode, Stew and Sydney discuss what separates bad bosses, good bosses, and superbosses. Sydney believes all managers can better help their employees’ careers by learning from superbosses. Near the end of the conversation, Stew and Sydney talk to a Work and Life radio show listener who called to get some coaching on how to deal with a micromanaging (definitely not super) boss.